Congratulations to our Analyst Poster Prize winners at the recent Europt[r]ode XIII meeting in Graz, Austria. The biannual conference is one of the major conference series on optical sensors and since 1992 it has been a forum for scientists and engineers from academia, research institutes and industry from all over the world. 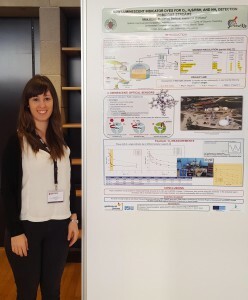 First place was won by Idoia Urriza, Complutense University of Madrid, whose poster was entitled “New luminescent indicator dyes for oxygen, hydrogen sulphide, mercaptans and ammonia detection in biogas streams”. There was a tie for second place. One runner up was Gillian Duffy, Dublin City University, with her poster “A fully integrated centrifugal lab-on-a-disc optical sensing platform for measurement of phosphate in water”. 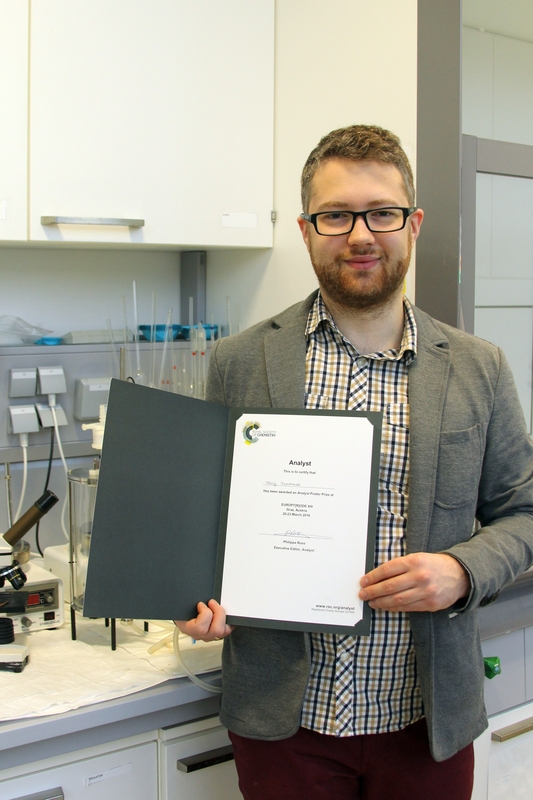 And the second runner up was Maciej Trzaskowski, Warsaw University of Technology, with his poster “Mobile SPR system for detection of biological threats”. The winners were selected by a panel of judges and the prizes were awarded by Analyst Deputy Editor Rebecca Brodie. First prize was 300 Euros, with both runners up winning 150 Euros each. All received a certificate to recognise their achievement. 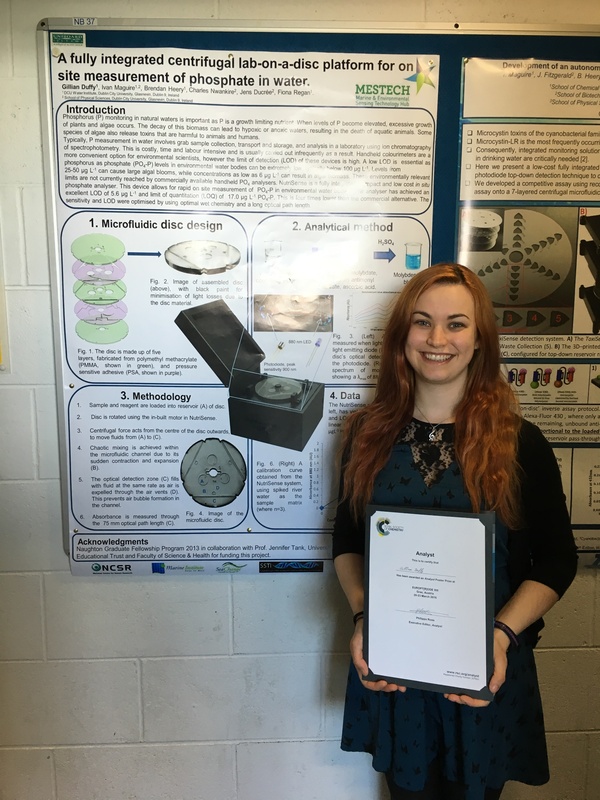 Congratulations to Idoia, Gillian and Maciej!